Hopefully these screen shots will help you in downloading your files, and ordering prints & products. If you still need help, send me an email or call and I will be glad to place the order for you. Your Shopping Cart menu. 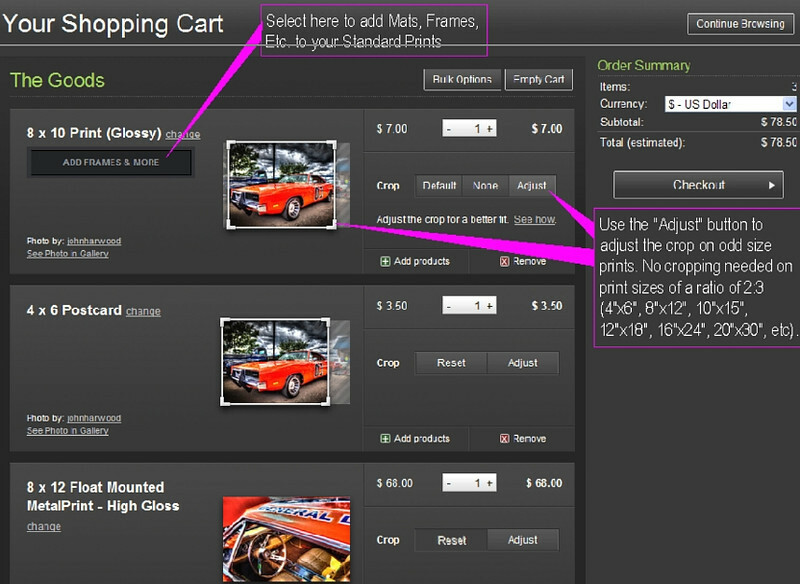 Selecting framing and matting; Adjusting the crop area; adding number of copies; Removing items from the cart; and Adding products to your image.